A big piece to the environmental puzzle is reducing the planet’s energy use. While this might seem like too grand of a feat to contribute to on a personal level, it is very possible. Every individual business’s contribution to reducing energy use or emissions, no matter how small, adds up to make a greater impact. By recycling, using energy-efficient appliances and keeping a close eye on where you can make a difference, every eco-conscious commitment helps. One difference to better the environment that any business can make is to install a white roof, otherwise known as a cool roof. Kafka Granite has been making eco-conscious strides toward providing environmentally friendly products manufactured in a state-of-the-art facility. Offering white roofing options is one way we can help you earn LEED accreditation points and have a positive impact on the environment in your city. The term “Urban Heat Island” has joined the list of climate vocabulary in recent history. Due to growing populations, metropolitan areas have expanded faster than ever. There are more energy-consuming people, more buildings reaching into the sky and more cars idling on city streets in urban areas than in sprawling suburban counterparts. All of this has lead to Urban Heat Islands (UHIs). 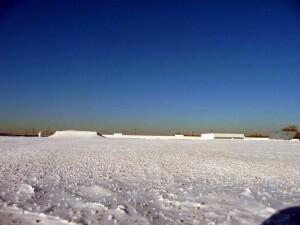 Roofs are often the culprits of heat absorption. Roofs crafted from tarpaper or other dark materials cause roof temps to climb upward of 150 degrees Fahrenheit or more on summer days, which increases energy use to keep air conditioners and fans running on high. Cities are fully stocked with energy-consuming machines. Thousands of offices, restaurants and large venues need to be heated, cooled and lit nearly all day long. Add in idling cars sputtering out exhaust during never-ending rush hours and the city is suddenly stuffed with emissions from energy consumption. Most cities are outfitted with buildings that are much taller and closer together than suburban surroundings. This tight configuration allows for diminished airflow, which inevitably traps heat and raises temperatures. White Quartz White Roof Overlay – Bensenville, IL – Installed by CentiMark Corp.
Skyscrapers are tall mountains of glass and metal—all reflecting heat to one another and onto the surfaces that will absorb it. Glass-clad buildings essentially act as large mirrors bouncing sun to the ground all day long. The heat-absorbing asphalt and cement streets and sidewalks soak in the heat all day, causing them to release heat well into the night, when the sun is nowhere to be seen. Increased heat reflection, heat absorption and energy consumption render large cities into literal hotbeds. In addition to compromised air quality, UHI also endangers water quality. Increased pavement and rooftop surface temperatures significantly warm rainwater runoff. This heated water runs into surrounding waterways like rivers and lakes, which could alter and damage native aquatic life and ecosystems. Many people don’t realize they can play very direct and simple roles in reducing the effects of UHIs. From reducing energy consumption, utilizing environmentally friendly designs and incorporating eco-friendly building materials, any construction project can be a little friendlier toward the environment. One way Kafka Granite can help achieve a reduction in Urban Heat Islands is the implementation of cool roofs, or roofs that don’t trap heat as much as dark roofs. Cool roofs are lighter in color, strongly reflect sunlight, and can efficiently cool themselves. 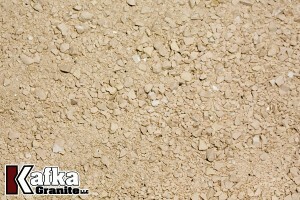 Available as sand or aggregate, white quartz is a naturally occurring stone that can be crushed to your specifications. White Quartz is the Kafka Aggregate with the highest SRI, or Solar Reflectivity Index, so it is the most effective choice. When seeking a white roof option that could garner even more LEED accreditation points, recycled porcelain is your go-to solution. Kafka is capable of crushing discarded porcelain in our state-of-the-art facility to become an ideal recycled aggregate or sand for use as a white roof material. Birchwood Granite pebbles and 1.5” ballast is made up of a white color palette with some variation in the form of brown or black granite. 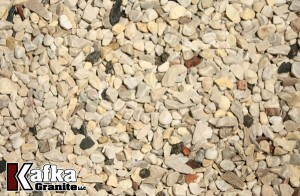 It’s the whitest round stone available, and a perfect solution for a traditional roof ballast in a whiter color. 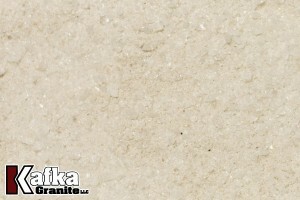 Installing a white quartz or recycled porcelain cool roof requires the use of a two-part epoxy. After the epoxy is spread, the aggregate or sand is evenly spread across the epoxy for a durable and long-lasting surface. Birchwood Granite is applied as a traditional roof ballast. 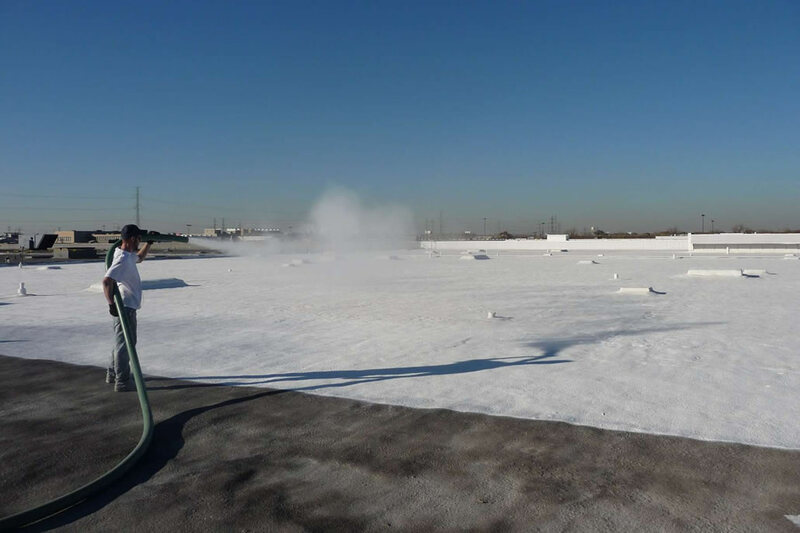 Implementing a white roof will dramatically reduce energy consumption and a building’s contribution to an urban heat island. The demand for electricity used for cooling interior spaces increases 1.5–2 percent for every 1-degree increase in air temperature. This results in 5-10 percent of communitywide electricity being used to compensate for the heat island effect. Increased heat can affect the local climate, aquatic life and health of those at risk in especially hot or humid climates. Halting the rise of detrimental heat islands in their tracks can be possible if everyone contributes to eco-friendly efforts. Implementing a cool roof over your existing roof or installing one when it comes time to replace a rooftop is one smart way to pave the way for a greener tomorrow. Through the use of cool white quartz, recycled porcelain, or birchwood granite white roof material options, your business can start seeing lower energy consumption (and electricity bills) during your environment’s hottest months. If you have questions about any of Kafka’s white roof materials, becoming a dealer of white roof material, or starting your plan for installing a white roof, call or message us today. Our experts are waiting to answer questions about our products and their environmental benefits today.